I have been using Kandoo® Personal Care Products for a few years now, and like using their products because it is Kid Friendly and Parent Pleasing. The mild formulas are made with natural ingredients to promote healthy skin and hair. The dermatologist tested, hypoallergenic and free of sulfates, parabens and phthalates products have a wonderful smell. Bright colourful foam and easy-to-use pump helps encourage children's independence in being more involved in their personal hygiene routines. The Kandoo® products include: Kandoo® Moisturizing Hand Soap, Kandoo® Moisturizing Body Wash, Kandoo® 2-in-1 Conditioning Shampoo, Kandoo® Simply Suds Bubble Bath has natural moisturizers, Kandoo® Detangler, and Kandoo® Flushable Wipes. Kandoo® Flushable Cleansing Wipes are a handy helper for children who are mastering toilet training and learning good hygiene habits. It is the perfect size for little hands because one wipe is about the size of two pieces of toilet paper. It cleans up to 30 percent better than toilet paper alone and is moistened with lotion to help ensure a thorough cleaning. It dispenses easily with the push of a button from the pop-up tub and there is no need for un-rolling or ripping. The wipes pop up one at a time, and the big button is easy for children to use. The tub fits on the back of the toilet easily. Since it is biodegradable and safe for sewer and septic systems, children can easily flush it after use. These wipes are wonderful to take when we are on the go. Kandoo Flushable Wipes are hypoallergenic and free of drying alcohols. It is available in Sensitive, which is unscented and Magic Melon scents. The tubs come with 3 jumbo stickers so it can be customized. Kandoo Flushable Wipes are available in a variety of different formats: Soft packs (42-count $1.99), Tubs (50-count $3.99) and Refills (100-count and 250-count $5.99). Kandoo® products are available across Canada at retail locations including WalMart, Loblaws, Sobeys and Target. If you are in Canada and would like to win a prize pack value of $100 with a variety of Kandoo products enter the giveaway through the rafflecopter below before August 23rd. Please leave comments and follow my social media networks to be eligible to win. I live in Gatineau QC. I do not used Kandoo products before! So that why I want to win! I am in BC. yes, have used a few of the products before. Would love to win to have on hand when the step grandkids are here! I live in Toronto, and would love to win some boogie wipes and try the flushable ones, as we go through boogie wipes constantly due to both my granddaughter's allergies. I'm in Toronto ON & I have not used any Kandoo products, I would like to win for my sister in law! I live in Ontario. I have used Kandoo products before. 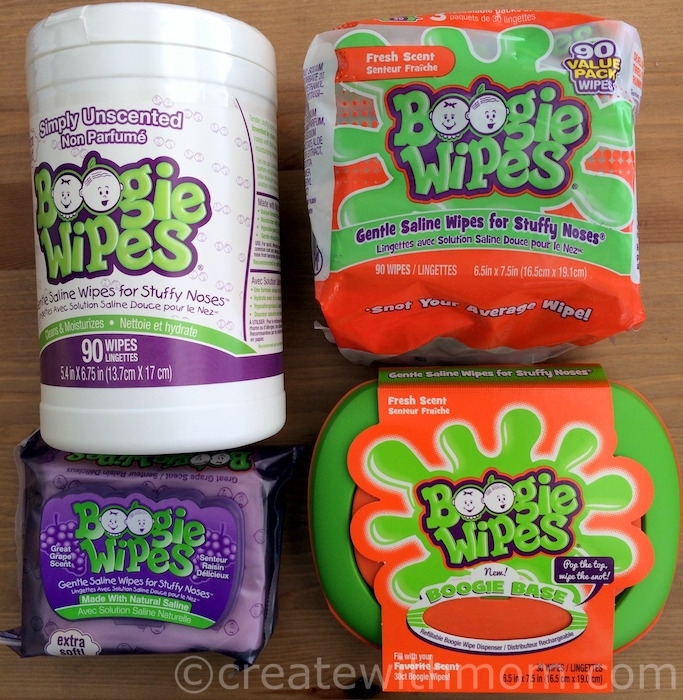 We have used the Boogie Wipes many times! I would like to win because I love the independence Kandoo products give to my son! I live in London ON. We've used Kandoo products before and I'd love to win because they are convenient, easy to use and less messy than a child using adult products. I live in Ontario. I haven't used Kandoo before but definitely want to try them with my family. I live in Ontario. I have used the Boogie wipes before and loved them! Such a perfect prize for the little ones! I live in Ontario and have used the saline wipes before. They are great! I am in Ontario and have not used Kandoo before but have heard great things about these products and want to use for my kids. I live in Nova Scotia and I have have heard of Kandoo but haven't had the opportunity to try them. I live in Ontario and have bought Kandoo products for my granddaughters. I think Kandoo is a wonderful product. We live in Ottawa and have not tried Kandoo before. I live in Alberta and I have use Kandoo product before at my daughter house when visting my daughter and granddaughters. I would love to have them in my house for my granddaughters Half day weekly visit. I live in BC, I haven't used these products before but I would love them for my two youngest grandbabies! I live in Saskatchewan and we have used kandoo products for a long time. We could always use more kandoo products. I live in Ontario. We have not used these products before, but I've heard great things about the brand. It would be awesome to win so we could try them. I live in Newfoundland and i have tried Kandoo hand soap and the kids love it,i would like to win to try other products in their line! 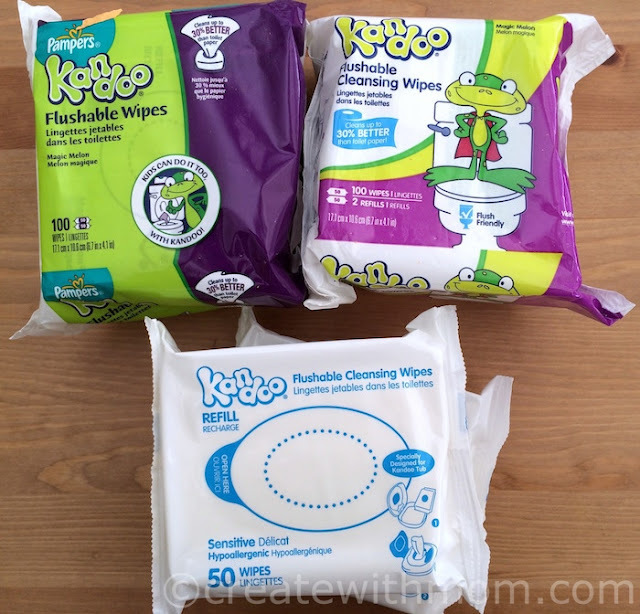 I live in Alberta and I have used Kandoo wipes but would love to try their other products. I love in Ontario and I have used Kandoo products, they are awesome, this would be great to win for my grandkids!! I live in Richmond. BC and have not used Kandoo products, so would love to win these so I can try them. We live in Ontario! We've used a couple of Kandoo products recently, quite impressive and on my list for our next trip to Walmart! Would love to win and have the chance to try some other products from the Kandoo line! I live in Newfoundland.We have used kandoo products for the grandchildren. Love the products and would love to win some. I am in Ontario and have bought Kandoo products for my grandson and we really liked them. I would love to win this terrific prize for my grandson and to share with his cousins. I am in Ontario. I have used Kandoo products. I like that they are fun for children, and make them want to use them. I am in TO, we used Kandoo products before & would love to win for my little man. I live in Ontario I have never used Kandoo products before but they look great and would love to surprise my sister with these for her little girl . I live in ON. I have used their boogie wipes before and keep them handy in my car. I live in BC. 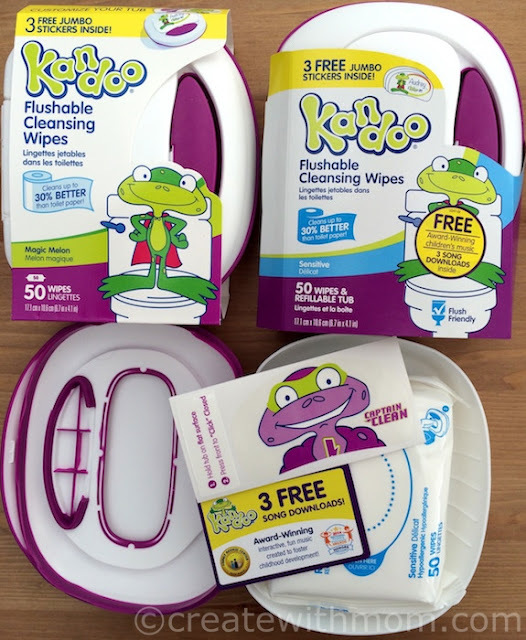 We've used the flushable Kandoo wipes before and would love to win because these products would come in handy with my kids - for potty training etc. I live in Ontario and never tried these products before. It's time for me to become wise to kids products as we are expecting our first grand child. I live in Ontario and we've tried the flushable wipes before. The kids liked the container! I'm in Ontario and yes we have used Kandoo products. I have tried the hand soap but would like to see how the wipes work with my kids. I live in New Brunswick and Love Kandoo products. They are great products that kids like to use. 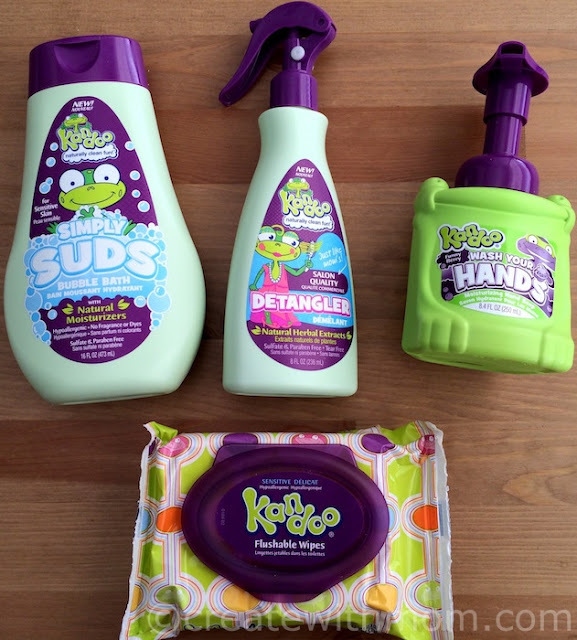 I live in Ontario and I love Kandoo products, I also love that the kids love it so much that they actually use it and want to wash their hands!! I'm in Ontario. I've never tried Kandoo products before and would love to. I live in Ontario and think they would be great for my granddaughter that is just starting to potty train. I'm in Alberta and yes I've used Kandoo before. We love the colourful foaming body wash and hand soap and the flushable wipes. I would love to win because these are products we use and love and would save us a trip to Walmart! Thanks for the chance. I'm in New Brunswick and I've never tried Kandoo products. I think they'd be useful for my two year old. I live in Newfoundland. My son loves this products especially the hand soap! I would love to win for him! Thanks! I live in BC. We had used the wipes a bit when DD was little but would love to try some of the other products too, especially the detangler. I live in Alberta. I have used Kandoo products and keep them for when my grandchildren come over. I would like to win this for them. I have not used Kandoo products before. I would love them as I have three toddler grandchildren who they would be great for. I live in Manitoba and I have not used any Kandoo products before but I have heard so many positive things about them that I would love to win to use on my three kids. I am from Ontario and I love Kandoo Products! They are so handy and easy to use for the kids! I live in Ontario and I have used Kandoo products with the grandchildren. I would like to win for my grandchildren.